Map of Munster, c. 10th century. 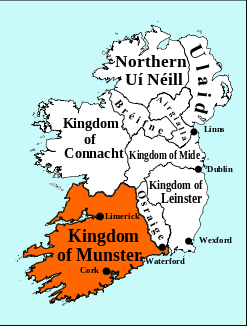 The kings of Munster (Irish: Rí Mumhan), ruled from the establishment of Munster during the Irish Iron Age, until the High Middle Ages. According to Gaelic traditional history, laid out in works such as the Book of Invasions, the earliest king of Munster was Bodb Derg of the Tuatha Dé Danann. From the Gaelic peoples, an Érainn kindred known as the Dáirine (also known as Corcu Loígde and represented today in seniority by the Ó hEidirsceoil), provided several early monarchs including Cú Roí. In a process in the Cath Maige Mucrama, the Érainn would lose out in the 2nd century AD to the Deirgtine, ancestors of the Eóganachta. Munster during this period was classified as part of Leath Moga, or the southern-half, while other parts of Ireland were ruled mostly by the Connachta. After losing Osraige to the east, Cashel was established as the capital of Munster by the Eóganachta. This kindred ruled without interruption until the 10th century. Although the High Kingship of Ireland was dominated during this time by the Uí Néill, the Eóganachta of Munster did provide Cathal mac Finguine and Fedelmid mac Crimthainn as serious contenders. This great tribe was broken down into different septs or branches, the most successful in terms of royalty were the Eóganacht Chaisil (represented by the Ó Súilleabháin and Mac Cárthaigh), Eóganacht Glendamnach (represented by the Ó Caoimh) and Eóganacht Áine (represented by the Ó Ciarmhaic). Their hold was loosened by the rise of Brian Bóruma of the Dál gCais, who established the Ó Briain as kings of Munster. As well as this Munster had to contend with the Normans. Finally, the kingdom ended as it was split into Thomond, Desmond and Ormond. 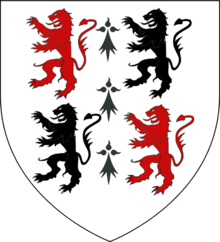 The former two came to an end during the 16th century with birth of the Tudor Kingdom of Ireland, with former rulers joining the Peerage of Ireland. 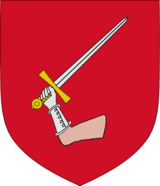 There were a number of Gaelic attempts to reassert their power in Munster, such as that of Fínghin Mac Cárthaigh and Domhnall Cam Ó Súilleabháin Bhéara, but these were not successful. Ailill Aulom, Mug's son, aka Olioll Ólum, associated with the goddess Áine. These were not true kings of Munster until the late 7th century, when the Corcu Loígde fell entirely from power, some time after losing their grip on the Kingdom of Osraige. Thus approximately the first twenty five kings below are best described as Kings of Cashel, Kings of Iarmuman, or Kings of the Eóganachta. Faílbe Flann mac Áedo Duib, the only exception, was the first Eóganacht to significantly project outside Munster, but Iarmuman was still a great rival of Cashel in his time, and little is known of his successors before Cathal mac Finguine. At and before this time also flourished the independent Uí Fidgenti and Uí Liatháin, a pair of shadowy sister kingdoms whose official origins appear to have been tampered with in the 8th century in a semi-successful attempt to integrate them into the Eóganachta political structure and genealogical scheme. Diplomatic relations and an alliance were achieved with the Uí Fidgenti, much to the credit of the Eóganachta, but for unknown reasons the Uí Liatháin remained effective outsiders. Of the Eóganachta, unless noted. 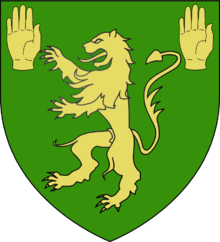 ↑ In the Annals of Ulster, Ólchobar mac Flainn of the Uí Fidgenti was confused with Ólchobar mac Duib-Indrecht of the Eóganacht Áine and claimed to have been a King of Munster. It is very likely that only Ólchobar mac Duib-Indrecht reigned in actuality (the confusion caused by a decline in Eóganachta fortunes). 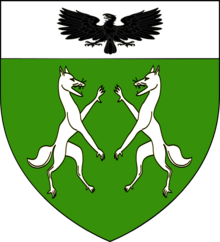 ↑ Tnúthgal mac Artrach of the Eóganacht Glendamnach is sometimes given as a king of Munster on some kings lists, but not in the Annals of Ireland. He died before his father, so it is possible that he never reigned. It is also possible that Tnúthgal mac Donngaile of the Eóganacht Chaisil has been confused with Tnúthgal mac Artrach. Bryne, Francis J. Irish Kings and High Kings. New York: St. Martin's Press, 1973. Áed Ua Crimthainn, Book of Leinster, c. 1160. The Laud Synchronisms. K. Meyer, 1913.